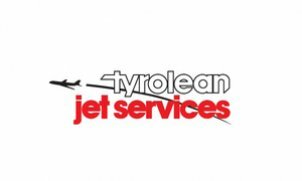 Tyrolean Jet Services (TJS) was established in 1978, as Austria´s first Executive Air Operator, operating Business Jets for the Swarovski Corporate Flight Dept. and valuable clients on the worldwide Air Charter Market. For more than 35 years TJS have established a solid relationship with charter- & aircraft management clientele in order to the safe and reliable operation of a unique collection of Business Jets – from a Cessna Citation Jet 2 (CJ2) to Airbus ACJ – capable of taking 19 VVIP guests. We offer Business and VVIP-Charter Flights, Aircraft Maintenance & Sales, Concierge-Services and even Airline-Flights, the latter by our IATA travel agency – everything on a 24h/7d basis. A wide range of dedicated aircraft management services is being offered to customize our support to aircraft owners worldwide. They can take financial & operational advantage for safe and efficient operation of their assets for private and commercial aircraft operation. To best meet our client’s particular demand is our main objective. Executive air travel has to be safe. I believe a business jet aircraft should have its own personality reflecting an intimate feel, be extremely comfortable and be fitted with the facilities that you would expect. Whilst each aircraft in our fleet is individual, they are all linked to the same attention to detail with very experienced staff who is dedicated to looking after you and to delivering the highest level of personalised service.